This is our 26th Annual Halloween Health Day Candy Buy Back. 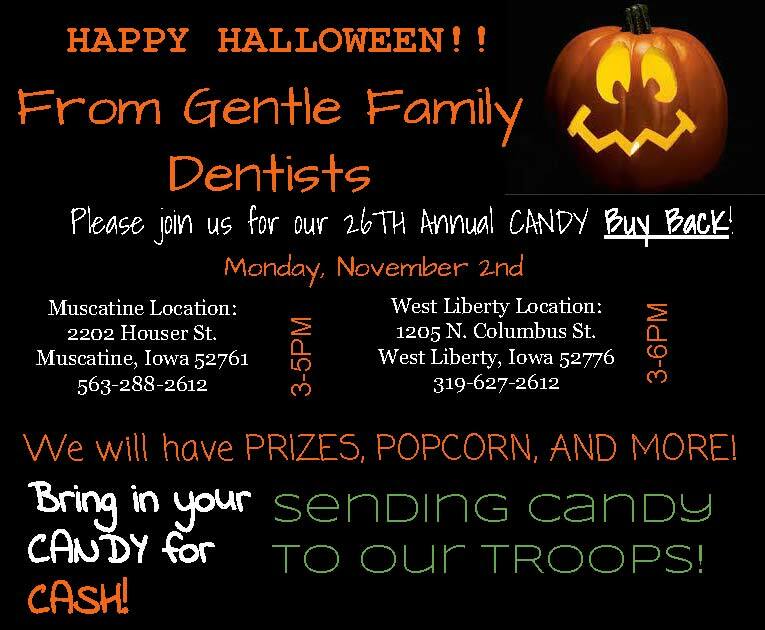 Kids 3-15 years of age can bring their candy, unopened, to either office November 2nd from 3-5pm. In return for the candy, we give the children cash! We will be having prizes and popcorn as well during those times! Kids can also dress up in their Halloween costumes!